Robert Pattinson, best known for his role in the highly-successful young adult blockbuster “Twilight” films essays a more mature role starring with Nicole Kidman and James Franco in the true-to-life story of trailblazing woman in “Queen of the Desert” directed by award-winning Werner Herzog. Nicole Kidman plays Gertrude Bell aptly referenced as the “Queen of the Desert,” bring to the big screen the true-life story of Bell, who was a British political officer and archaeologist but ultimately a trailblazer on her terms. The story details the extraordinary adventures of Bell wrestling with the conflicts of love and tragedy, enemy and friend, and foreign and familiar as she sought to understand and unify people from different cultures. Gertrude Bell, a real-life British woman who was alternately a traveler, writer, archaeologist, explorer, cartographer, and political attaché for the British Empire at the dawn of the twentieth century. While only a commoner herself, Bell was nonetheless a kingmaker, helping found the modern states of Iraq and Jordan and installing their first rulers, King Abdullah and King Faisal. Another legendary character that appears in this film is T.E. Lawrence, also known as Lawrence of Arabia, played by Robert Pattinson. His role as T.E. Lawrence is a British Army officer whose writing earned him international fame as Lawrence of Arabia, on whom David Lean’s 1962 classic blockbuster movie epic is based. Lawrence was a good friend to Bell over the years, as the duo helped establish the Hashemite dynasties in Jordan and Iraq. “I needed an Englishman, who still has the air of a schoolboy, but who is very intelligent. He plays Lawrence of Arabia, but at age 22, on an archaeological site. Pattinson is very good in this role. He is an intelligent man and the choice was quite natural”, says Herzog of casting Pattinson. Pattinson says landing the role was “just crazy”. “I’ve been a fan of Herzog since I was 16. I met him for that job three years ago; I thought it was never going to happen and when it finally did, it was amazing. 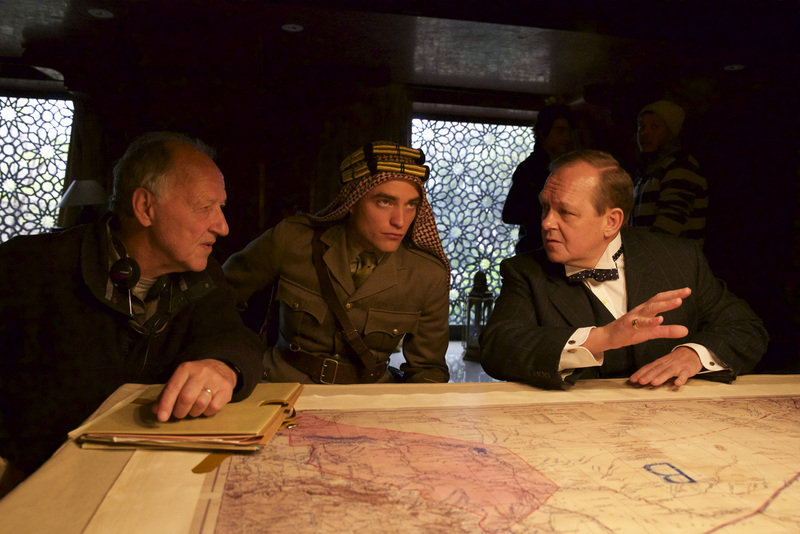 Riding around Morocco on a camel, it was pretty great,” says Pattinson in his previous interviews. From Axinite Digicinema, “Queen of the Desert” opens today, March 2 exclusive at Ayala Malls Cinemas.